a) Click here to get the Coupon Code (“SAVECASH”) and to go to product page. e) Offer is valid till 1st March 08. 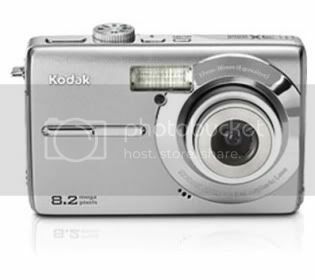 The actual price of the above Kodak Easy Share M853 8.2 Megapixel, 3X Optical Zoom, 2.5″ LCD Digital Camera is $149.99. You get a total discount of around $50.